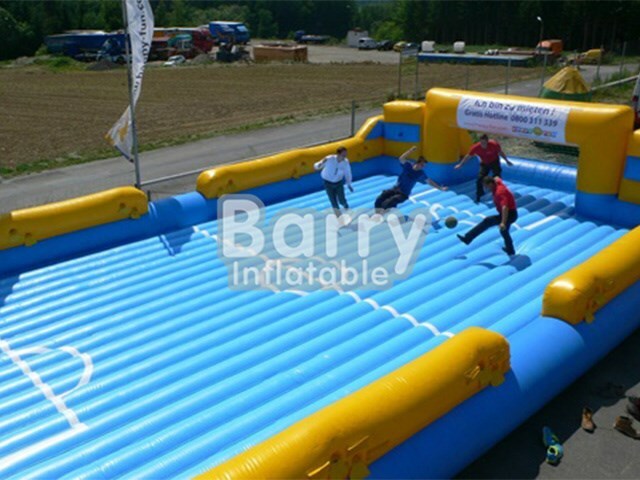 Inflatable Sports - soccer field - China Supplier Inflatable Soccer Carnival Game/Inflatable Soap Soccer Field Price BY-IS-001 - Guangzhou Barry Industrial Co., Ltd. The soccer field with four goals is a fun, sporty attraction for large and small sports activities and events. Both young and old will have a lot of fun with this inflatable soccer arena!